Images designed for the web typically cannot be used for printing as they have a low screen resolution of 72 dpi. Print images need to be created at 300 dpi or there will be a substantial drop in the image quality. 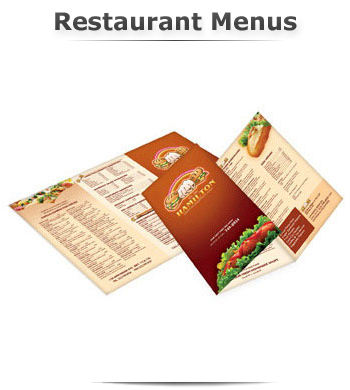 For menu please build your print-ready digital files by adding 0.125" (1/8") bleed to each dimension (or 0.0625" bleed on all four sides). For example, a 8.50" x 11.0" brochure with the full bleed should be 8.75" x 11.25". Please design your files on our templates to ensure proper bleed.